NOTE: The free delivery service offered on this product is based on a one man only delivery. Due to the nature and weight of this product, you will need to arrange additional assistance to offload the goods from the vehicle when it arrives. A curb-side d_rop off service is provided with this product. Heat outputs are based on Ancit Tests, outputs vary with fuel types. For minimum clearances please refer to installation instructions. The glass may blacken on lower settings, however increasing the heat should burn any subsidiary carbon off. NOTE: Please ensure to have a survey carried out by a qualified Hetas approved Solid Fuel engineer to check and certify the compatibility of your chimney with this stove before making any purchase to avoid disappointment. 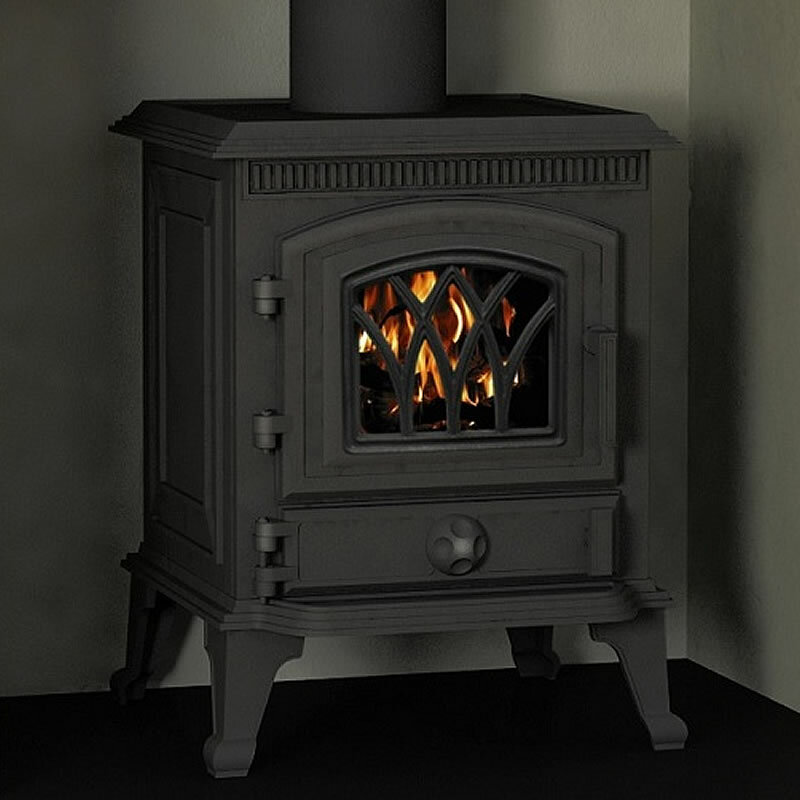 Note: This stove produces substantial heat output which may affect the interior and exterior appearance of the stove, over time through general wear and tear which is quite normal and to expected when burning Solid Fuel. If you would like further information on Solid Fuel, call the Solid Fuel Association on 0845 601 4406 or Email sfa@solidfuel.co.uk or to have a look at their website www.solidfuel.co.uk. Alternatively if you would like to find your nearest Hetas approved engineer, simply call HETAS on 0845 634 5626 or Email info@hetas.co.uk or to have a look at their Website www.hetas.co.uk where you will find a comprehensive list of engineers.